Language - so important, so many options, so much confusion - what to do ? 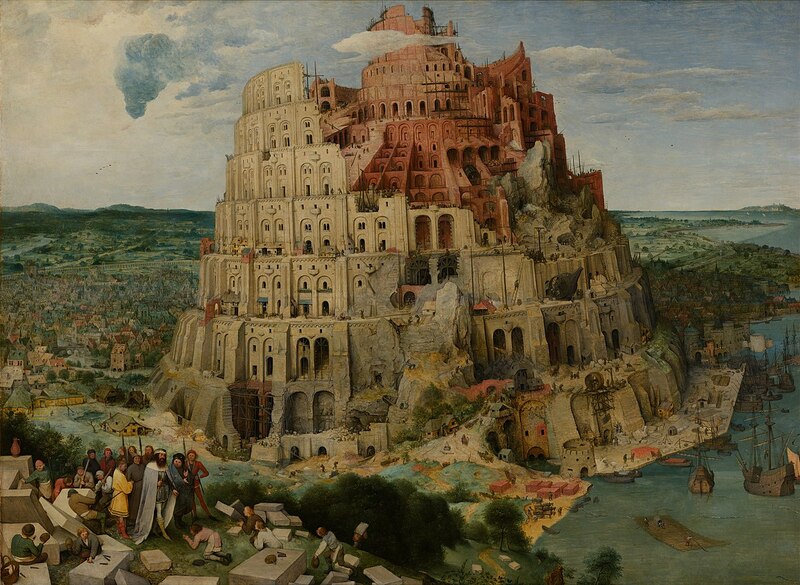 Yep, the tower of babel ..
We live in the age of Information and Information Exchange... humans are spongey and adaptable and evolve communication all the time ..
And if everyone is using different interfaces ... how can we understand ? So I started with an MRL instance defaulting a single Locale to whatever language the host computer is currently using. I'm probably more eloquent in code than English, but if you want to use my interface you'll need "en"
Moz4r suggested one Locale to rule them all. I believe he was interested in a single point where Locale could be retrieved or change, and all services would follow (if they could). Potentially other aspects of MRL or its GUI will change, if they start using this method as their source of determining what language they should be using. I'm in process of trying to make all SpeechSynthesis services behave in the same way. They all derive from AbstractSpeechSynthesis and this reduces the code (and the bugs) of the system. If the behavior is consistent for all Speech services then its behavior should only be in AbstractSpeechSynthesis. All SpeechSynthesis will "add" voices with the addVoice method - the AbstractSpeechSynthesis will create the data structures to maintain the voices. This makes UI development easy, because the data structures to represent voices will be the same for all SpeechSynthesis services ! Submitted by kwatters on Tue, 06/12/2018 - 18:32.
getVoices should be abstract and left up to the implementing subclass to implement. sorry i didn't read the rest of your post.. so you're proposing adding addVoice to the abstract speech synth service? ok.. but this means it's up to the subclass to register all of it's voices , perhaps in the constructor? Also, I don't think the addVoice should be in the interface.. it could be in the abstract speech syn class.. but i don't think addVoice is something generic to a Speech Synthesizer.. This all seems very un-natural to me. it really seems like getVoices should be abstract and each subclass should implement it to return a list of voices that are supported by the implementing class. Edit 3... ultimately worky is king... in reality not all implementations of SpeechSynthesis necessairly need to subclass abstract speech synthesis.. and with this addVoice method, how to you insure that the subclass actually calls it appropriately.. again.. worky is king.. so . this is just semantics of how we make it worky. Submitted by GroG on Tue, 06/12/2018 - 20:18.
so you're proposing adding addVoice to the abstract speech synth service? ok.. but this means it's up to the subclass to register all of it's voices , perhaps in the constructor? The subclass uses addVoice within loadVoices ..
That's the current plan ... until a better path is revealed .. Submitted by kwatters on Wed, 06/13/2018 - 06:04. Sounds good grog.. full speed ahead. worky is king.